Looking for a secluded beach with pristine beauty, broad shoreline, crystal-clear waters and a school of dolphins inside it? Karde beach in Dapoli is the answer. 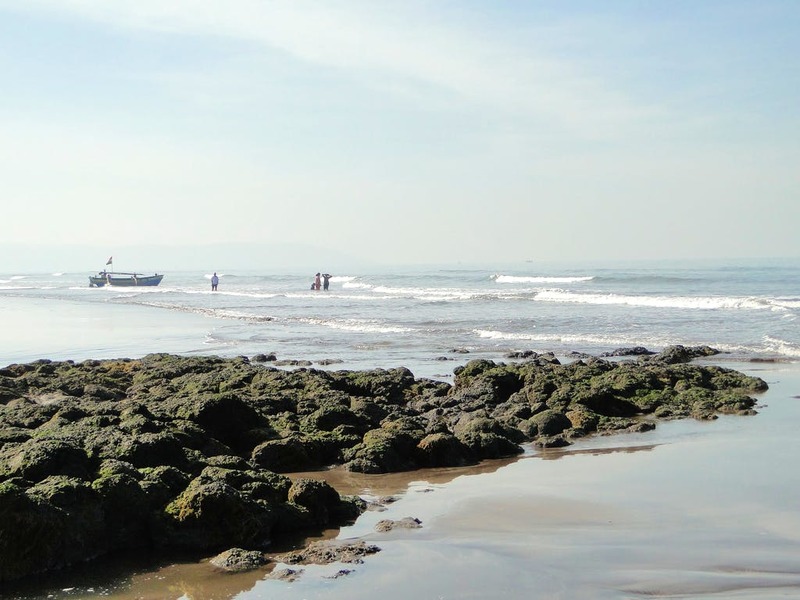 Situated 14 KM from the Dapoli bus depot, this beach is neighbouring to the famous Murud and Ladghar beaches. Known as one of the largest, tranquil and clean beaches of Konkan, Karde beach is a hidden vacation spot which is ideal for someone looking to get in sync with nature. While you may not find a lot of sports activities and hustle-bustle of the crowd like you would find in Murud, we are sure, the calmness here will help you unwind. A few hours drive from Pune, we suggest you take a car to reach the destination as the journey to the beach itself is a nice road-trip where you can enjoy the sight of wide stretches of green virgin beauty. Tourists are known to come here for two things- the spectacular view of the sunset and the dolphin watch. we highly recommend you to spend your evenings on the beach as you will be able to enjoy the gorgeous sunsets. There are several facilities for travellers to go on a dolphin watch. Embark on the special boats with fishermen and sail into the sea to enjoy the friendly beings jumping and flipping themselves in water. Do not forget to carry your camera as the picture of these lovely dolphins will make for a perfect Instagram post. We assure you, nothing will beat the experience of enjoying this sight while the cold breeze slaps against your face. There are many small shacks on the sea-shore selling local delicacies like coconut water, sol-kadhi, misal, chat etc. You can savour them while taking a walk along the coastline. The dolphin sightings may not occur often but the locals, as well as the guides, know about the dolphins' arrival near the shore. We feel they should inform the tourists well in advance about the timings. When travelling to Dapoli, ditch the hotels and opt for the Konkani home-stays that this place has in abundance. we suggest you try out the local cuisine like Kombadi wada, Konkani misal and sol kadhi and comfortably live in the Malvani chalets.